Balnakeilly House has 13 carefully designed bedrooms that sleep up to 26 people in comfort and style. 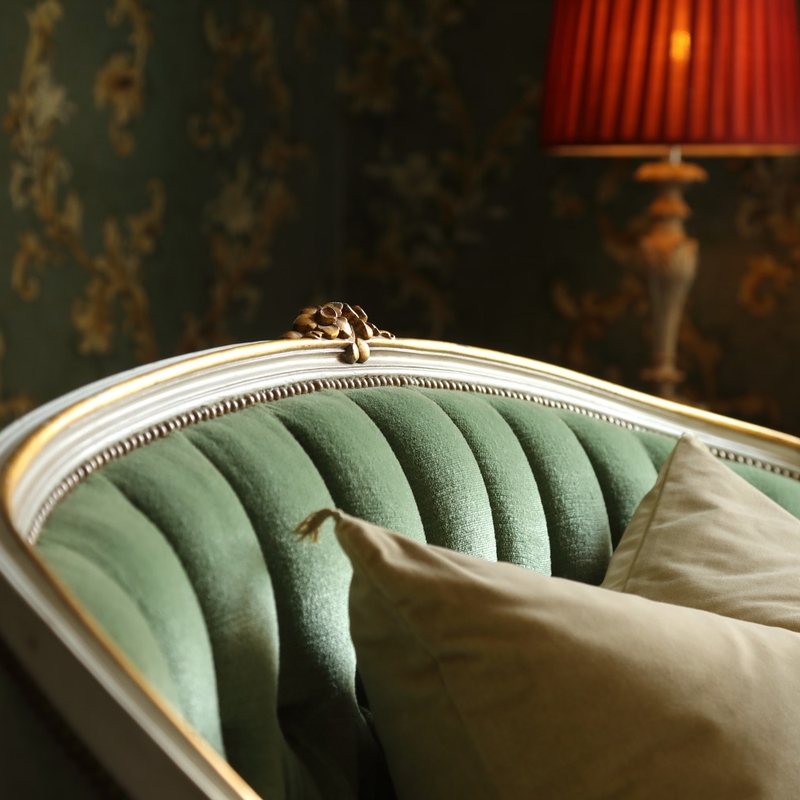 During the refurbishment and interior design of Balnakeilly, we focused on incorporating as much of the original features as well as sourcing furniture and fittings that would tie in with the house’s rich history and its previous owners, the Stewart-Wilson family. Designer Sophie McGown wanted to inject pops of colour on to the traditional canvas of a Scottish estate house. Eclectic modern pieces have been sourced from around the world so that they fit in perfectly with the original features, antique furniture and art from every era. Our modern kitchen has been designed with the serious cook and diner in mind with its eye-level ovens, six burner hob and eight-person kitchen dining table. The open wood fire will keep the winter chill at bay or light up those dusky nights. The double doors bring the outside in giving you access to the patio and panoramic gardens – the perfect place to enjoy a morning coffee as you take in the views of the Tummel Valley. The kitchen also boasts a large Belfast sink and all mod cons including a microwave, blender, toaster and coffee machine. It is stocked with designer crockery and gold cutlery fit for a laird. Just off the main kitchen lies a laundry room with a traditional clothes pulley dryer, washing machine, tumble dryer and gunstore. Our second compact kitchen doesn't have cooking facilities but it offers a full-size fridge, plenty of storage, a 12-person dining table and a comfortable seating area that invites quiet contemplation. The grand dining room seats up to 30 guests against dramatic decor that harks back to the glory days of Balnakeilly House. Enjoy the finest food in a superb setting warmed by the open fire. 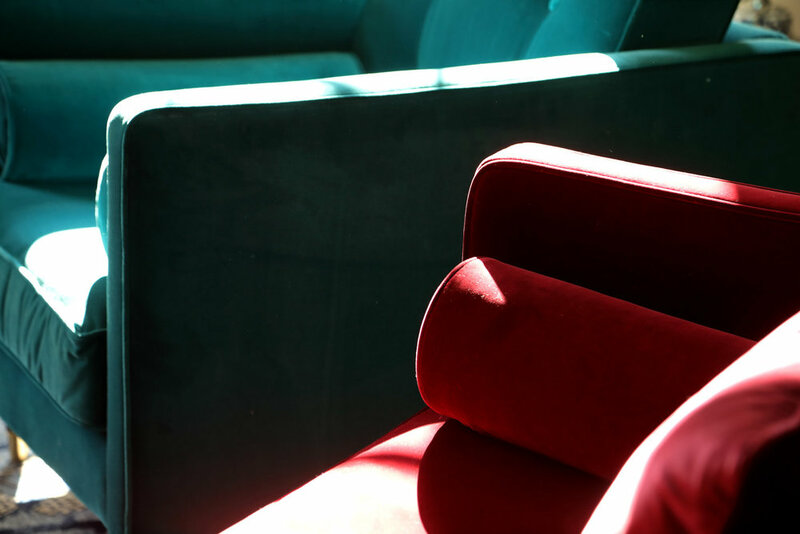 Come and relax in our sumptuous sitting room, a bright and spacious area that is decorated with bold splashes of colour, 1950s style furniture and old antiques. The beautiful marble fireplace is a feature with or without a roaring fire and through the windows, the stunning scenery is framed by beautifully designed curtains. From the main sitting room you have access to the trophy room, another generous space that has been updated with contemporary features while retaining some of the original furniture. A real wood burner keeps it cosy while the wooden craft table can seat up to eight people, perfect for a spot of supper. The current owner of this house is a passionate hunter and here you can find some of his trophies decorating the walls. A beaters’ room was where people on an organised shoot would go to enjoy their lunch. There would be a lavish banquet and an abundance of whisky to refresh the hunters who would be warmed by a fire or stove. Often the room would be used later in the day to eat dinner or enjoy a party. Our beaters’ room has another open fire and is large enough to receive up to 30 people and is near the kitchen – making it another great spot for dining. The room has the extra benefit of easy access by car so you can drive right up if the weather is disagreeable. 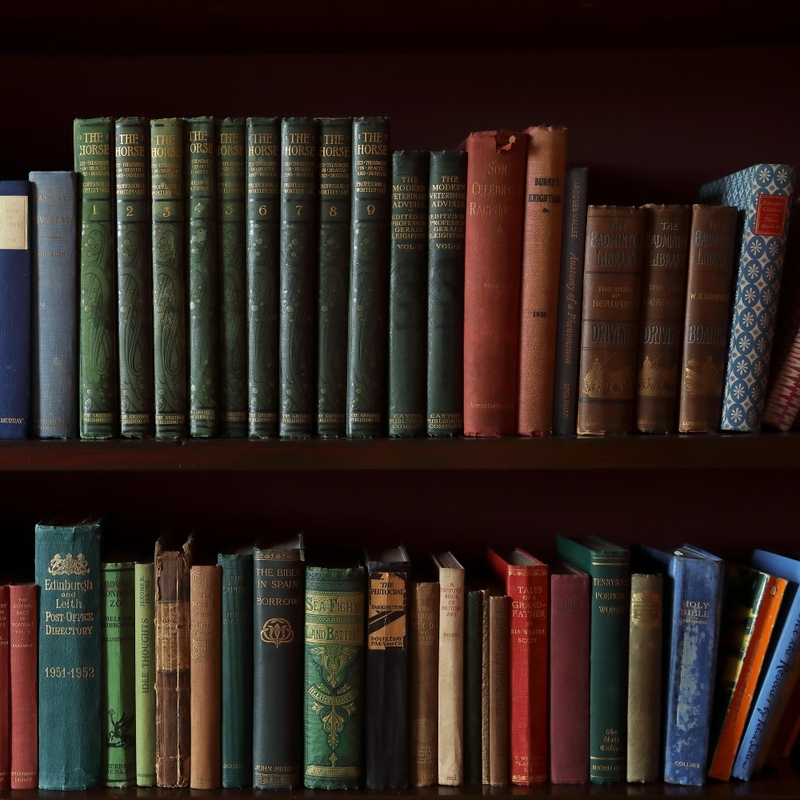 An intimate cosy room where you can enjoy some alone time, the library has shelves stocked full of interesting books and old photo albums that will transport you back in time to when Balnakeilly House was a much-loved family home. Another of our cosy rooms where you can sit back, relax and watch the world go by with a lovely hot pot of tea or coffee. This is a room is where you will be doing some serious relaxing. Enjoy a glass of fizz on the enormous L-shaped couch, or rally the troops and lose yourself in a movie with a bag of complimentary popcorn. We also have one large room with wheelchair access and an accessible en-suite bathroom. 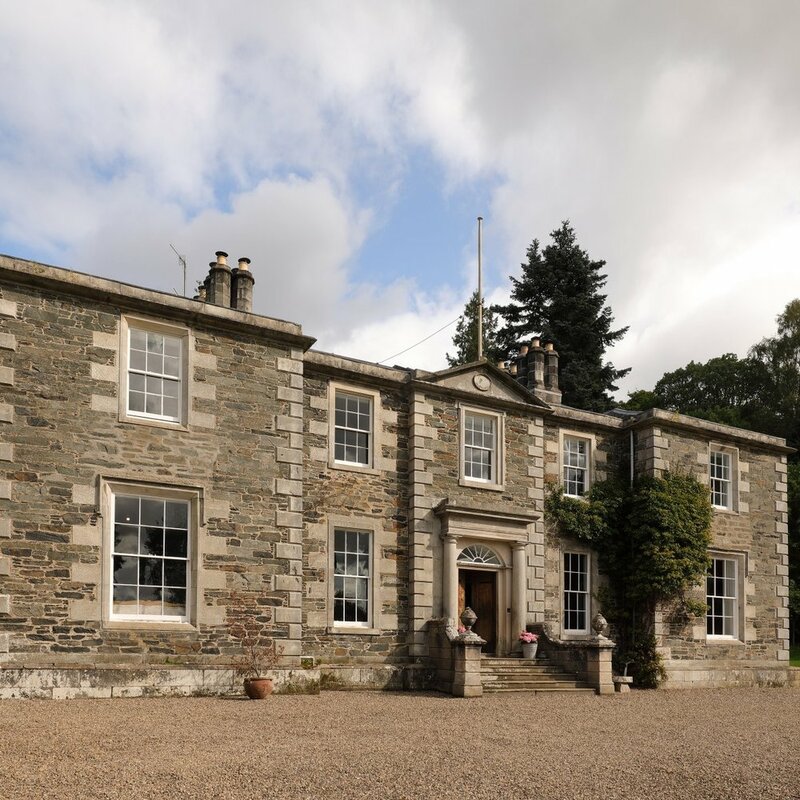 Balnakeilly House sleeps up to 26 people.